A while back, I read about StrideBox on a blog and forgot about it until I saw a video review of it last week while surfing YouTube during lunch. StrideBox is basically a goodie/sampler box of running “accessories, nutritional products, and apparel” that you get each month for a $15 subscription. Anyway, I signed up last week and made it just in time to get the March edition in yesterday’s mail! As you can see, the box contained a great sampling of products (some of which I already use/like) and I’ll definitely use/try everything included – I’ll even give the Wrist Wallet a try…I KNOW I’ll devour the Picky Bar, being a Picky Club‘er already. Again, the monthly subscription is $15 and, by my calculation, this month’s sampling total about $29 – a pretty good deal. 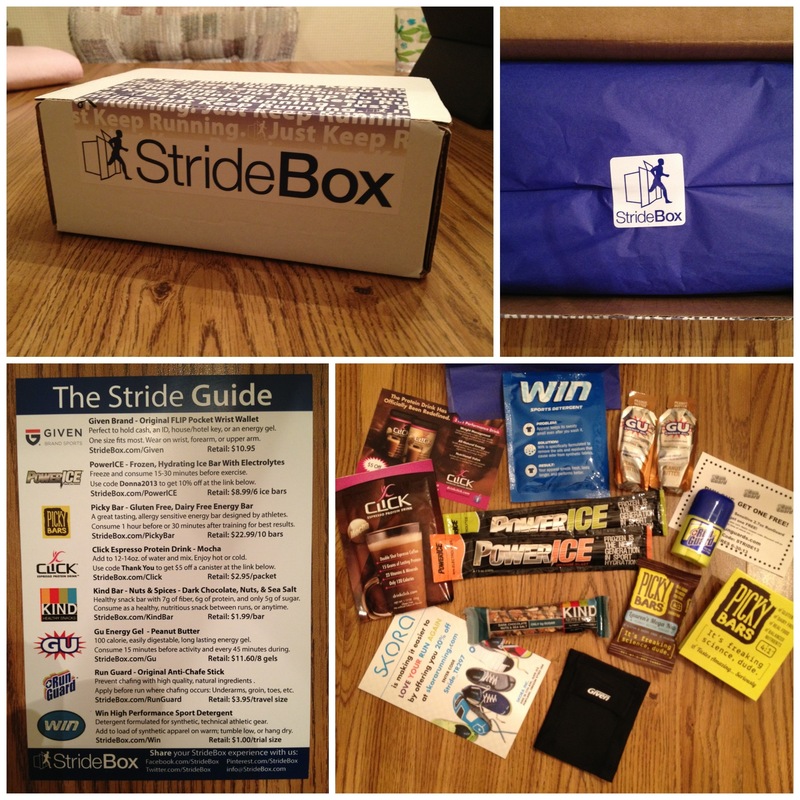 StrideBox #1 (vMarch 2013) was a winner – can’t wait for April. You can sign up for your monthly StrideBox here! Comments: I did 5.36 @ 8:14. First run in my new Saucony Type A5s – liked ’em a lot!